Coworking spaces are a great spot to facilitate events, host programs and leverage the community around you. On this Coworking Community Call we hear from Jacqui Dietrich, who is managing one of the most effective spaces in the country. Since opening, The Commons on Champa has seen over 39,000 people come through their doors, and they’ve done this with only two staff members. 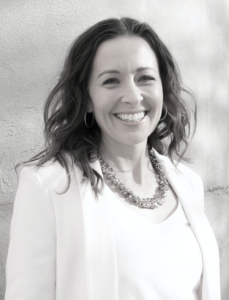 With over 10 years experience as an entrepreneurship community organizer Jacqui manages The Commons on Champa, a center of entrepreneurship powered by the Downtown Denver Partnership to serve economic development in the center city. She leads The Commons efforts to create a culture for innovation and entrepreneurship that reaches the most diverse community possible while managing holistic operations overall. Her focus on building connections and resources has attracted the high quality people and programs The Commons is now known. She oversees the creation and execution of programming, partnership and marketing strategies, and serves its vast volunteer network. Previously, Jacqui led operations and community development for a series of early-stage businesses and served as the global director of House of Genius, an entrepreneurship community service organization with an international footprint. She also managed entrepreneurship education programs at the University of Colorado Boulder and got her start in business as the general manager of Wild Idea Buffalo, a future-forward meat company. She holds an MBA from the University of Colorado Boulder. To learn more about The Commons please visit www.thecommons.co. During this call Jacqui spoke about the importance of creating expectations for your members and the participants in your space. These expectations allow individuals to align with the values you are creating within your community. One of the ways that The Commons does this is by enforcing people to fill out event forms before hosting events.